What a difference a detonation makes. Sunday morning’s explosion of a hydrogen bomb by North Korea is seen by many observers as terrible news for Beijing. The Chinese leadership had been pressing Pyongyang in recent days to halt its nuclear program, and stop ratcheting up tensions in the region, so a lot of analysts see the blast as a major setback. But all of that is highly questionable. First, how does anyone know what Xi likes or doesn’t like? Apart from his inner circle, there’s no evidence whatsoever about Xi’s reaction—either what it was, or what it had to be. Given the paucity of information about Xi’s personality and how he reacts in person, claims like that are rash at best, misleading readers into thinking that someone has insight in Chinese leaders that's in fact undemonstrated. Moreover, how does anyone know that Xi would have been surprised—given that there were all sorts of signals that another test of some sort on Pyongyang’s part was likely to occur? After all, North Korea’s state media ran news of a visit by Leader Kim Jong Un to the Nuclear Weapons Institute, and claimed that the country had a hydrogen bomb capable of being mounted onto a new intercontinental ballistic missile. Given the long-standing military ties between the two countries, is it really probable that no one in Beijing knew that a demonstration of some sort might be forthcoming? Was China’s intelligence apparatus so inept that they were completely taken aback by the event? Why the unsupported presumption of surprise when it’s just as likely that there were indicators, signals, signs of something about to occur? To assume that Beijing and Xi were stunned is just that--an assumption, one that is contrary to how the relationship between China and the DPRK has usually been depicted. There's not a lot of logic in any of that. Just as curious are the claims that the recent test is terrible for Xi. Quite the contrary, it could well turn out to be a gift. Of course, the prevailing Party line is about stability before the 19th Party Congress, and maybe if everything stayed quite until mid-October, that would be wonderful. But this is the real world, and insofar as the 19th is concerned, these conclaves aren’t nearly as scripted as some observers seem to believe. Events happen, and Chinese officials know that, which is why there’s still so much posturing and positioning going on. It's a dynamic situation, so changes are to be expected--and some officials here (Xi included) might even be seeking opportunities to make more of them. Equally important to consider is that China’s leadership and policymaking apparatus isn’t a monolith by any means—which is why referring to the policies pursued towards Pyongyang’s nuclear program as “China’s policies” is simplistic and misleading. Just because the Ministry of Foreign Affairs decries the test doesn't mean that they're in charge, or that they represent the majority view here. There are Chinese analysts who are insisting that North Korea’s recent tests are a major disruption are surely right—from their perspective, one which wants a return to the Six Party Talks and reflects the views of particular parts of the bureaucracy. But Xi and his supporters may have rather different views. They could look to turn the increased tension to their advantage—that is, their policy agenda—by arguing Pyongyang’s effort to become a nuclear power is another reason why China needs to be more than just another major power. Beijing must dominate the region, they can insist, because it can’t stop North Korea (or protect it) without a more assertive foreign policy, and China needs to continue to rejuvenate the military to make it capable of carrying out its new goals. Xi clearly sees China as the preeminent power in the area, and he appears to be very much a unilateralist where regional matters are concerned. Pyongyang's nuclear test doesn't undercut him, but actually aids he and his allies in making arguments that are hardline. Moreover, Xi and his people can contend that trying to be the mediator clearly hasn’t worked for Beijing: It hasn’t halted Pyongyang’s progress, only postponed the reckoning again and again. They can argue it’s now time to make a decisive choice to oppose American-Japanese aggression (as some see it) and support Kim (which is what at least some of China’s hardline media appears to be urging). 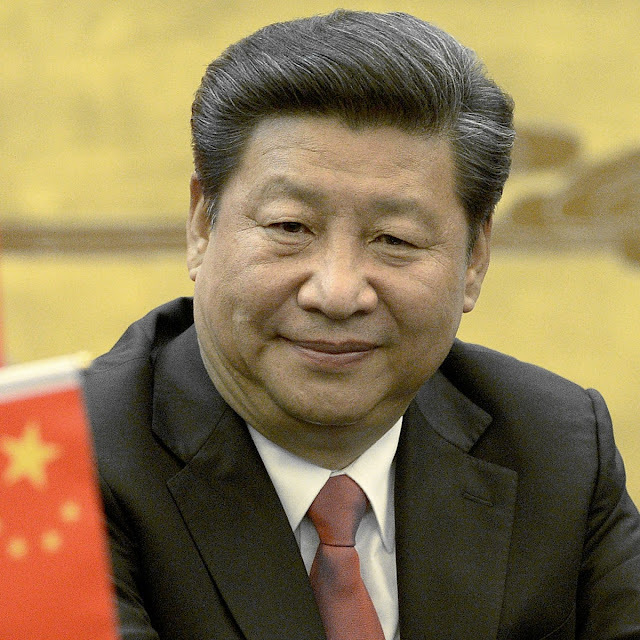 Those officials and advisers insisting that Beijing’s best play is continuity (being a responsible regional partner) can be cast by opponents—such as Xi and his people--as outmoded and out of touch, should they choose to do so. So whether this was a surprise or not, it could turn out to be more of an opening than a setback for Xi and his camp, a further chance for his sort of China to start suiting up, and for Xi to demonstrate yet again how he’s the sort of leader the nation needs to have around, perhaps even longer than usual—someone unafraid to pursue a new agenda, and not subject to all that shocks and awes others. Kim's test is just the sort of examination that Xi excels at. 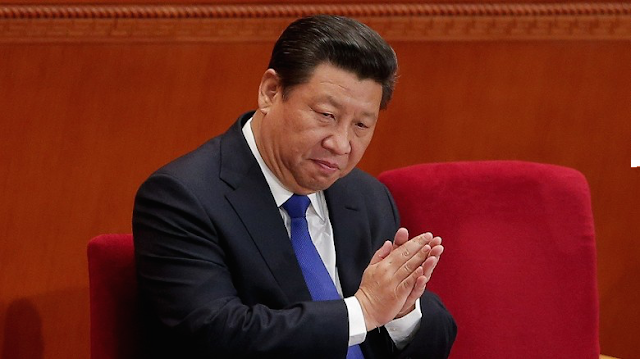 There's not a lot of reason to think that Xi's suddenly on his back foot. Anyway, that’s in Beijing. Some locals here in Jiangsu think that Kim and North Koreans generally are crazy, while other residents see That Dear Leader and his followers as actually quite clever. Of course, more than a few don’t much care, as they see themselves untouched by Beltway issues here or abroad. Just as important, a handful admit that they really don't know what’s going on, or how it will all turn out. They say that it’s too early to draw any conclusions. How insightful of them—though nobody should be surprised. interesting post. I'd agree Xi is not surprised. You don't get to be the President of China by being ignorant of what is going on around you.